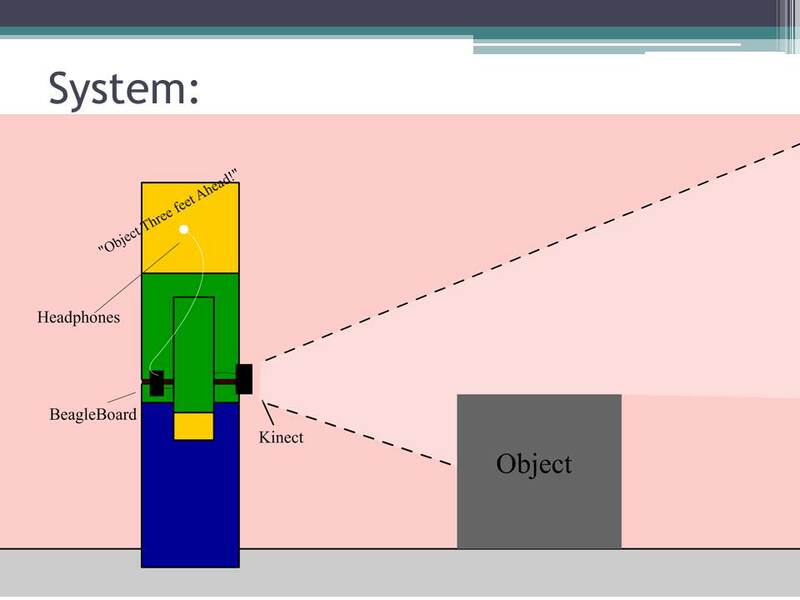 Our plan is to mount a Kinect on a belt or waistband along with 3-6 vibration motors and a BeagleBoard. The Kinect will detect objects in the blind user's path and vibrate the motors to warn him or her of the obstacles. For example, if there is an obstacle on the left, the left most motors will vibrate.